Section 618 of the Individuals with Disabilities Education Act (IDEA) requires that each state submit data about children with disabilities, ages 3 through 21, who receive special education and related services under Part B of IDEA. The U.S. Department of Education Office of Special Education Programs (OSEP) collects data from states and provides reports to Congress. In Virginia, data is reported for children ages birth through five who receive special education and related services under Part B of IDEA. 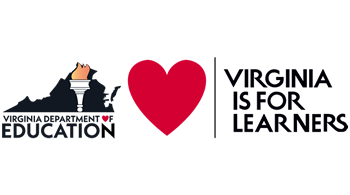 More information is available at the Virginia Department of Education (VDOE) website. the percent of children aged 3 through 5 with Individualized Education Programs (IEPs) who attend a regular early childhood education program and receive the majority of special education and related services in the regular early childhood program. the percent of children aged 3 through 5 with IEPs who attend a separate special education class, separate school, or residential facility. *In Virginia, data is reported for children ages birth through five who receive special education and related services under Part B of IDEA. use of appropriate behaviors that meet their needs. the percent of children referred by Part C prior to age 3, who are found eligible for Part B, and who have an IEP developed and implemented by the beginning of the school year if they turn age two by Sept. 30 of that school year or by their third birthday. IDEA requires states to submit a performance plan which includes baseline data, targets, and improvement activities for the data indicators. 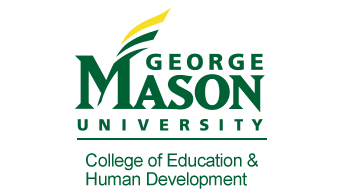 This information is outlined in the Virginia State Performance Plan (SPP). States are to provide annual reports on the state-level data and progress toward meeting state targets described in the state’s special education SPP. Progress is described in the Virginia Annual Performance Report (APR). States are also to provide individual school division-level data and to report on whether the divisions met state targets described in the state’s special education SPP. The Annual Special Education Performance Report to the Public provides division-level data and compares the division’s performance to the state’s targets. U.S. Department of Education Office of Special Education Programs (OSEP) is implementing a Results-Driven Accountability (RDA) system under IDEA. RDA shifts OSEP’s accountability efforts from a primary emphasis on compliance to a framework that focuses on improved results for children with disabilities while continuing to ensure states meet IDEA requirements. States are required to have a State-identified Measurable Result (SIMR). 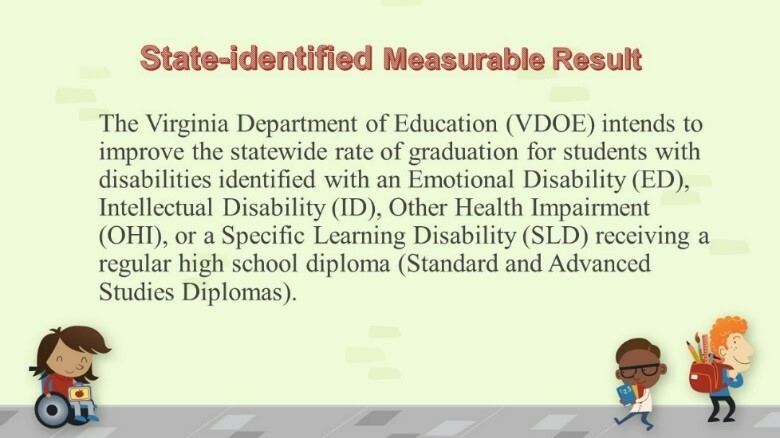 This is a goal identified by each state that is designed to improve results of students with disabilities. The State Systemic Improvement Plan (SSIP) outlines how this goal will be addressed. 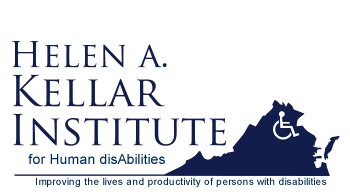 To read more about Virginia’s SIMR and SSIP click here. 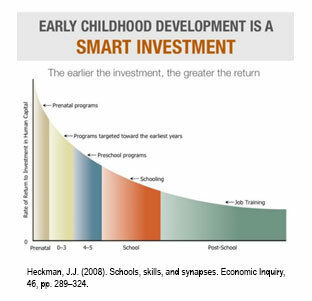 Early Childhood leadership at the VDOE believes that quality early childhood and early childhood special education programs are critical in order to provide all students every opportunity to graduate from high school in the future. James Heckman, a Nobel Laureate in Economics, found that early learning experiences have a significant impact on an individual’s success or failure. The Heckman curvei displayed below shows that the earlier the investment, the greater the return. Because of the importance of Early Childhood Education (ECE), the VDOE continuously works to improve child outcomes, and ultimately improve graduation rates. The VDOE, through the Training and Technical Assistance Centers (TTACs) provides resources as well as specialized training and technical assistance to local schools divisions in the implementation of evidence-based practices in Early Childhood programs. explore how preschool Virginia Tiered Systems of Supports (VTSS) will be implemented and connected to K-12 VTSS to provide a full continuum of supports. Promote quality inclusive practices aimed at increasing access, participation, and supports for preschool children with disabilities. 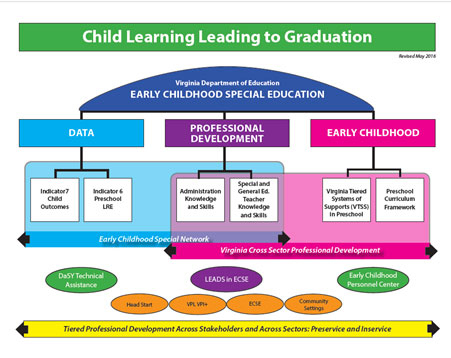 The Child Learning Leading to Graduation graphic (Word - ADA Compliant Version) below depicts how the VDOE will link data, recommended Early Childhood practices, and professional development to improve child outcomes.